Enjoy an exceptional experience at San Francisco's most charming boutique hotel. Queen Anne Hotel offers a unique blend of Victorian elegance and furnishings with modern amenities. Options include wood burning fireplaces, corner Turret rooms, or Jacuzzi tub for two. Wake up to a delicious daily breakfast in our Salon accented with antique furnishings, floor-to-ceiling windows, and gorgeous chandeliers. Read our latest San Francisco hotel reviews and discover a place where the old and new come together in perfect harmony. Beautiful hotel, excellent staff and exceptional service. Perfectly located. A treat for the eyes! Lovely antiques and Victorian splendor everywhere. Highly recommended. We arrived in the city during an unexpected early birth of our first grandchild, with no hotel reservation. The Queen Anne staff were so accommodating and helpful. We initially chose the location because it was close to Kaiser Hospital but each days we stayed we grew to be very fond of the staff on all shifts. 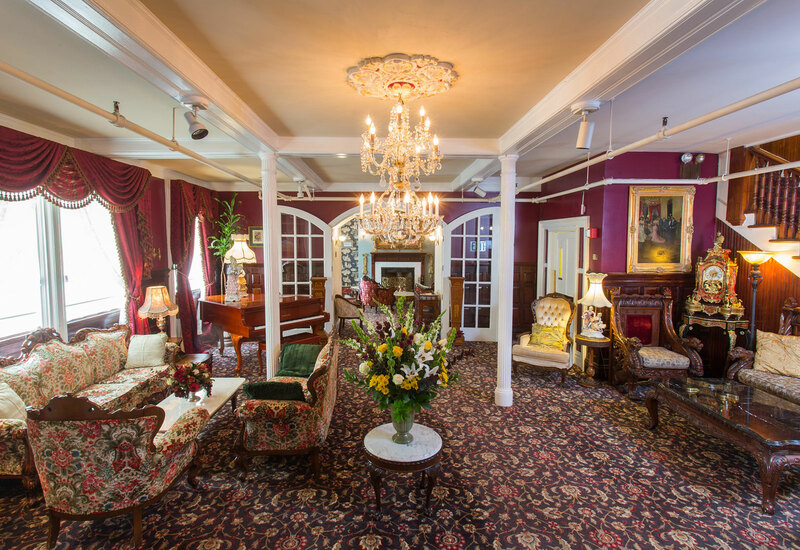 The rooms and beds were very comfortable and the Victorian furnishings and decor very charming. Thank you for making our stay so pleasant. The Queen Anne is a wonderful place to stay. Periodically we travel to San Francisco (UCSF) for medical reasons. This is our first 'go to' hotel. The quaint atmosphere is so relaxing. In June we stayed for 6 days while recuperating after knee surgery. The staff was amazing - too many accommodations to list here in this space. Housekeeping . . . one of the best I have seen, and so flexible to help us out. Whole Foods and Walgreens are just a short walk away. I highly recommend this gem of a hotel. My husband and I were on our first trip together alone in 18 years. What a pleasure to have chosen the Queen Anne. Such a warm soothing atmosphere away from the city hubbub. It is like entering in a different time zone. The staff is very friendly and helpful. Nothing is ever complicated. The bed was very comfy. Our window opened wide to let fresh air in. The breakfast was amazing: eggs, sausage and patties, fresh-made waffles, fresh fruit, breads and bagels and others, fresh coffee, many teas, juice. The fire was always on in the fireplaces of the parlors and there was so many comfy seats and chairs to relax in. Tea and coffee available 24h a day. And they are not kidding when they say they offer afternoon sherry and cookies. Every floor displays period furniture, even the floors, walls and ceilings have beauty to offer. And we could walk everywhere within a half-hour. Did I mention the convenience store right across the street? Fresh foods and we even bought a bit of cooked food on one evening we were too pooped to eat out. All in all, we had an amazing stay. Highly recommended for a relaxing stay away from home and from daily life.